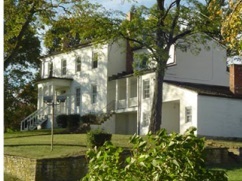 ﻿ Daniel Hertzler House Museum - Ohio. Find It Here. Step Back in Time to 19th Century Clark County! Get to know what Pre-Civil War life was like through the eyes of a local legend, Mennonite pioneer and wealthy entrepreneur Daniel Hertzler. Hertzler was a 19th century corporate king and a money-lender who owned a grist mill, saw mill, brick distillery, whiskey distillery and over 1,000 acres of farmland.Hertzlers wealth and status would ultimately lead to foul play and Mr. Hertzlers demise. Experience the mystery  piece it together for yourself and investigate the houses unsolvable murder while on your tour.